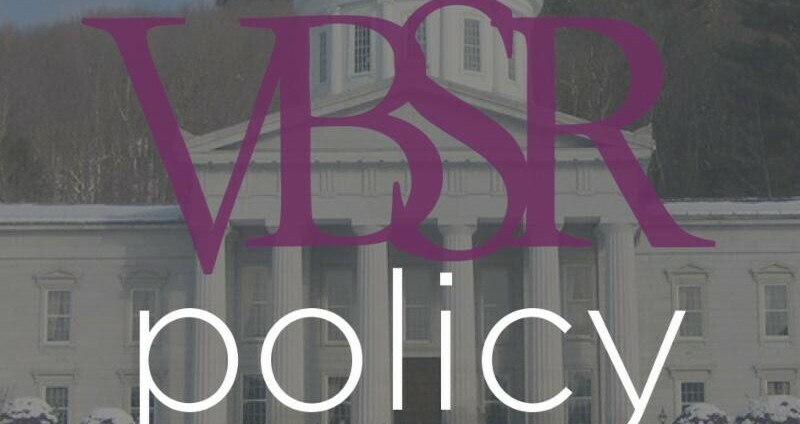 Vermont Businesses for Social Responsibility (VBSR) will honor Rep. Tom Stevens, D-Waterbury, at a legislative breakfast next week for his work to raise the state’s minimum wage and establish a paid family leave system in Vermont. VBSR is a business association with close to 700 members who advocate for policies which support workers, our communities and the environment. Stevens will receive the ‘Legislator of the Year’ award at VBSR’s Legislative Breakfast and Annual Meeting on the morning of Thursday, December 6 at Main Street Landing in Burlington. VBSR will also announce its 2019 legislative priorities at the event, attendance is free for organization members and legislators; the general public is welcome, as well. Stevens, the vice-chair of the House Committee on General, Housing, and Military Affairs, worked with VBSR and other organizations during the 2018 legislative session to craft bills that would improve the lives of working Vermonters and recognize the economic constraints of small businesses in Vermont. The two bills, S.40 (increasing the minimum wage) and H.196 (establishing a paid family leave system), were ultimately vetoed by the Governor. First elected to the Vermont House in 2008, Rep. Stevens quickly made a reputation for himself as a thoughtful and savvy legislator known for bringing an artistic and literary flair to policy debates and proceedings in the Vermont House. Rep. Stevens was the co-chair of the Vermont Liquor Control System Modernization Study Committee and served on the Merger Committee for Liquor and Lottery. He also serves as president of the board of trustees of Downstreet Housing and Community Development. Rep. Stevens lives in Waterbury with his wife, Liz Schlegel. Tickets are still available to VBSR’s 2018 Legislative Breakfast, For more information, visit www.vbsr.org. This event is made possible by Main Street Landing as a host sponsor and Paul Frank + Collins as the lead sponsor. Additional sponsors are Aplomb Consulting, The Essex Resort and Spa, Heritage Aviation, Seventh Generation, the Vermont Child Care Industry and Careers Council, WrightJones PLC.